Another software miner now has support for the 5-chip Gridseed GC3355 BTC/LTC ASIC devices and that is bfgminer, though you should note that there is a separate branch that supports the Gridseed hardware and the official 3.10.0 release is not compatible. 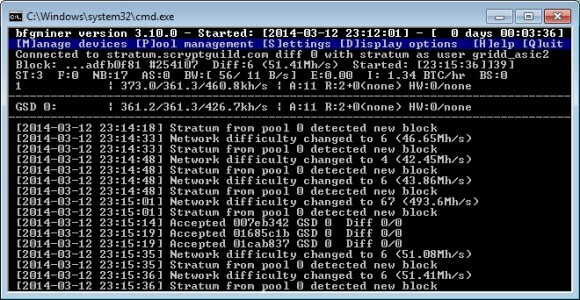 The version that you can download below compiled for windows is the one with Gridseed support and you can also use it for Scrypt GPU mining, though the command line we have provided in the BAT file is only going to start bfgminer and look for Gridseed devices (remove the -d gridseed option to use GPUs too). 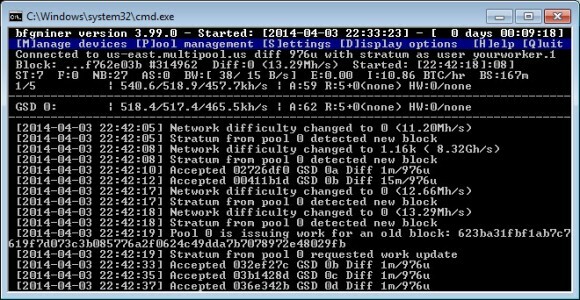 Also note that the command line starts the miners with 850 MHz operating frequency that should result in about 360 KHS scrypt mining hashrate (60 over the stock 300 KHS) – should be stable option for good overclock performance with low to no HW errors, but your results may vary. You can get down to 800 MHz if you are getting more HW errors, or try to get up to 900 MHz if you get no HW errors to see if you can get 380 KHS stable. This version of bfgminer shoudl work with both the earlier 5-chip Gridseed ASIC devices as well as the newer revisions, it detects and work with our miners using both the newer STM32 Virtual COM port driver as well as the older CP2102 USB to UART Bridge Controller. Note that bfgminer requires the devices to be working with their standard virtual COM ports and not to have the drivers replaced with Zadig with WinUSB like cgminer does. If you have installed the WinUSB drivers you may need to Uninstall the drivers and unplug and plug the ASIC devices so that the default driver is installed again. 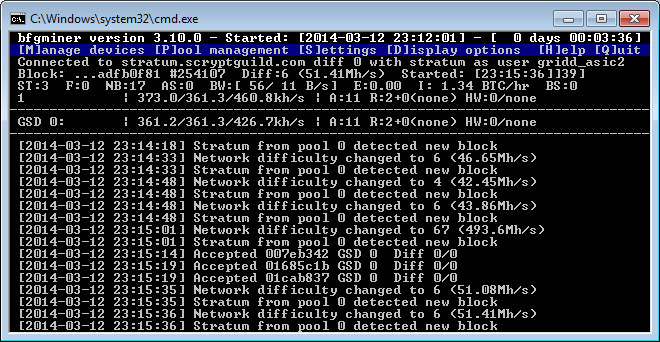 Alternatively you can try to install the GridSeed.inf driver you will find in the miner archive. 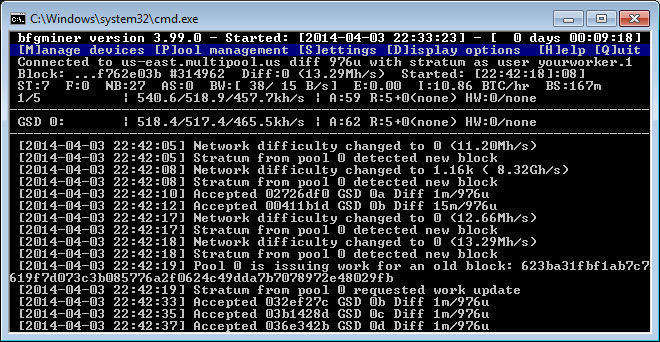 Note that the version of bfgminer provided here is only for Scrypt (LTC) mining on the 5-chip Gridseed ASIC devices!